I heard this story over the weekend while talking to a soil scientist who worked for the USDA. He would tell the story to farmers who till their soil. But, the moral of the story is applicable to lots of things in life. 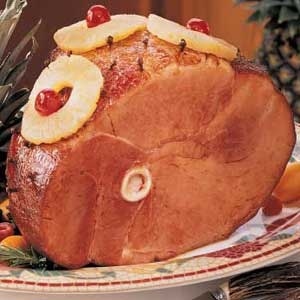 A father was in the kitchen preparing the traditional family recipe for Easter dinner, a baked ham. His young son was sitting in to learn this recipe as he recently gained an interest in learning to cook. The father prepared a glaze, preheated the oven, sliced up pineapple, trimmed any fat, and then cut off each end of the ham. As the father was pinning the last pineapple onto the ham, the son curiously asked “Why did you cut off each end of the ham?”. The father replied, “That is part of the recipe and how I learned to cook it from your grandfather”. The son thought about this for a moment and pursued his curiosity further, “Can we call Grandpa and ask him why the ends of the ham need to be cut off?”. The father nodded and began to dial his father. “Dad, why is it that we need to cut the ends of the Easter ham?”. The grandfather responded, “I would think that it helps the ham cook better, but I haven’t tried it any other way. Ask my mother when she gets there why she cut the ends off, she was the one who originated the recipe”. It is one thing to question and reevaluate legacy behavior. But it should never be ignored or disregarded, and always carefully considered.